MSX Cart. published 33 years ago by HAL Laboratory, Inc. 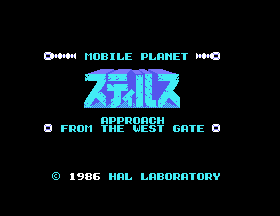 Mobile Planet Suthirus - Approach from the Westgate [Model HM-025] © 1986 HAL Laboratory, Inc.